Though Bill W. was unaware of the power of shame, he was nevertheless a victim of it. No where in the first 164 pages of the Big Book is shame mentioned, but it is a pernicious presence that research has concluded is the source of our addictions and the frequent cause of relapses. Shame is hate turned inward. It’s the factory of our character defects. It drives our suffering. Yet, very few of us know this. It’s a secret even to ourselves. By becoming aware of our shame, we can greatly reduce the suffering it inflicts on us. Only recently have I discovered how shame has infected my life like a virus. It’s the furtive voice that is forever whispering its message that I am a bad person. I grew up in a home with a rageaholic father and an enabling mother. They rarely drank. My dad was an emotional drunk. What would trigger my dad into explosive rage was forever unpredictable. Every day, the hum of the bomber circled overhead, and the threat of bombardment hung in the air like toxic gas. As a child, I breathed in his hate. And, like any child, I didn’t yet have the boundaries in place to deflect it. His hate became my own self-hate, and it lodged deep within my soul as shame. Rarely could I figure out the reason for his rage, so what my mind couldn’t grasp, my soul embraced: I deserved it. Unfortunately, our endless capacity to adapt often has tragic consequences. Few of us escape unscarred from the battlefield of a dysfunctional home. My youngest sister died as a casualty of heavy smoking and drinking. Fragments of rage and anxiety have embedded themselves into the lives of my other two sisters. And I, 10 years in recovery, find myself surveying the devastation, hobbled by shame. Shame is universal. Its seeds are sown in childhood. Whenever we are powerless to deflect another’s hate—whether in the form of verbal, physical, or sexual abuse—it becomes internalized deep within as shame. “We believe we ‘should have’ been able to defend ourselves. And because we weren’t able to do so, we feel helpless and powerless,” according to Beverly Engle, in her article “How Compassion Can Heal Shame from Childhood,” published in Psychology Today. “This powerlessness causes us to feel humiliated—which leads to shame,” Engle says. Shame can result from any situation that causes us to feel shunned by others. It can also be the by-product of regret, especially after hurting a loved one. If we fail to make amends to that person, regret often converts to shame. It’s mystifying to me that after years of working the program of AA, sponsoring, and pouring myself into recovery literature, that I have remained unaware of shame’s covert operations. But I don’t think I’m alone. Being unaware of shame is very understandable. For many of us, our textbook for recovery has been the Big Book (BB). However, shame is not mentioned anywhere in its first 164 pages (containing the entire AA program as Bill W. first conceived it). For the ranks of us who are traumatized by shame, this is a critical omission. I believe the BB is a masterpiece. Yet, as acutely attuned as Bill W. was to our malady, he was not yet aware when penning the BB that shame is the father of our character defects—resentment, selfishness, and unworthiness being its children. As addicts we know there is something at the root of our addictions. In the hundreds of AA meetings I have attended over the years, the word “unworthiness” is frequently heard. What we call unworthiness, though, is really an expression of shame’s much deeper and darker domain. Other character defects—defensiveness, criticalness, anger, resentment, and emotional withdrawal—also bubble up from the depths of shame. Amazingly, in the same day, shame has us toggling between feelings of inferiority and its paradoxical mask of superiority. It creates a pervasive feeling of inadequacy that resides in the background of all we do. It fuels our drinking. Invariably, we cross the invisible threshold between heavy drinking and alcoholism. Drinking then becomes a desperate coping strategy, cycling back on itself. We drink to numb us to the pain of shame and then we feel shame because we find ourselves drunk again. On and on, over and over, day after day. Shame is often confused with guilt. Brene Brown, a professor of research at the University of Houston, makes a critical distinction: “Guilt is I did something bad. Shame is I am something bad.” Guilt focuses on the behavior; shame focuses on the person. Brown’s research finds a high correlation between shame and addiction but virtually none between guilt and addiction. The amount of shame participants displayed strongly predicted not only whether they relapsed but also how many drinks they had if they did relapse. We don’t have to remain shame sufferers. Recent scientific breakthroughs reveal that the brain has a nearly endless capacity to rewire itself. “Due to what we now know about the neural plasticity of the brain—the capacity of our brains to grow new neurons and new synaptic connections—we can proactively repair (and re-pair) the old shame memory with new experiences of self-empathy and self-compassion,” Engle says. By employing the fearlessness and thoroughness that we used in our 4th Step, we can surface the pain of being hated that created our shame. Once we become aware of the source of our shame, we can grieve the pain and suffering it has produced. We can cry our response to the hatred, and we can cry about how unfair it is. Finally, we come to a place of peace and give shame back to its rightful owner. I leave you with this self-compassion exercise, courtesy of Beverly Engle, in hopes that it helps you as it helped me. Think of one of your most shaming experiences from childhood. Now think of what you wish someone had said to you right after that experience. What would have been the most helpful and healing for you to hear at the time? Write this statement down. Image that someone you care very much about, someone you admire, is saying those words to you now. Hear those words in your ears. Take those words into your heart. Notice how those words make you feel. Now say those words out loud to yourself. Take a deep breath and really take in those words. How does hearing yourself say those words out loud make you feel? You might receive a real sense of healing and peace from the words that you hear while doing this exercise. 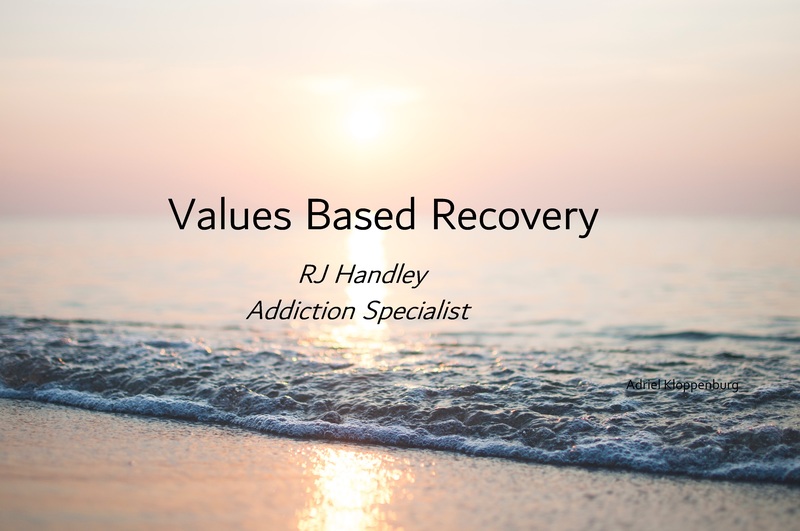 Exploring shame can be a journey that requires courage and self-honesty, but the reward is recovery that goes beyond the mere absence of addiction—recovery that is a deep healing of your past and a life of real happiness and peace. The Secret Power of Shame was originally published in The Fix.